Most businesses do not realize that for many potential new clients, your website is their only connection to your business. That means your website is their first impression of your business. If your website looks old, it not only affects your credibility, but it negatively impacts their experience. If the design fails to impress them, they will find another business that provides the same services as you. That means you just lost a new customer. Even if your client list is huge, a poorly designed website hurts your credibility for new customers. You could be the best company nearby, but based on your website, they will not know that. On the other hand, if your website looks professional and is built well, you will appear to be more successful to anyone who is viewing your website. So, when someone refers you through word of mouth and they search online for your business, what are they going to see? A beautifully crafted website that invites them in or something that is old, out-dated and making them second guess calling you? A well-crafted website design is a major difference in generating or losing new customers. It all starts with the colors. You want to avoid multiple colors and terrible color combinations. On your website should be several full color images. Whether they are stock photos or photos of your actual work, visitors want to see something that is no black and white and related to the services you offer. Along with being aesthetically pleasing, the design of the website needs to be user friendly on all screen sizes – including mobile devices. With an easy to use navigation, visitors will be able to easily navigate throughout your site and make it simple to find what they are searching for. When is the last time your cell phone was not with you? You are constantly connected to the internet. This is the same for thousands of people in your service area. They search on their phones each day for things they need. There are people right now searching on search engines like Google, Yahoo! and Bing for services your business offers. Google’s search engine algorithm checks websites to ensure they are mobile-friendly. If not, they may filter your business out on mobile search results. So, if they do happen to find your website online and it is not mobile-friendly, they will go back to the search results and find another business because it is difficult to read, navigate and the entire user experience is horrible. Each time this happens, you just lost a potential customer willing to purchase your services. Now, if your website was mobile-friendly and has a prominent call to action – such as a “click to call” button – you will be generating more calls. More calls result in more jobs. More jobs equal more profit. By having a mobile-friendly website, visitors will be able to easily use and view your entire website from their mobile devices such as a phone or tablet. A mobile-friendly website will make more money for your business because it improves your conversion rate and SEO. What is a conversion rate? A conversion rate is the amount of leads (phone calls or web form submissions) from the same amount of unique visitors. This is where thousands of businesses fail to realize how many customers they are losing due to their website. A 5% conversion rate means that you would get a total of five phone calls or web form submissions generated from your website for every 100 unique visitors. 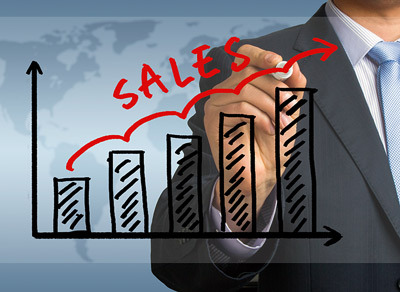 By increasing your conversion rate, you will be generating more new customers from the same amount of visitors. If you could increase a 5% conversion rate to 7%, that is an extra two new customers for every 100 unique visitors. 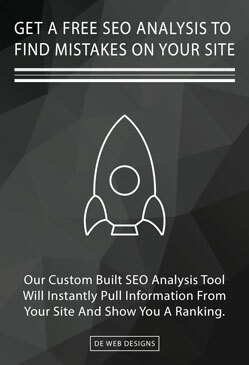 Let’s say your website has great search engine optimization (SEO) and you are receiving 300 unique visitors a month. Instead of 15 customers like you would normally receive with a 5% conversion rate, you would be creating a total of 21 new customers. That is an additional 6 customers, and those 6 customers just gave you extra money that you normally would not receive. The importance of optimizing your conversion rate never stops. 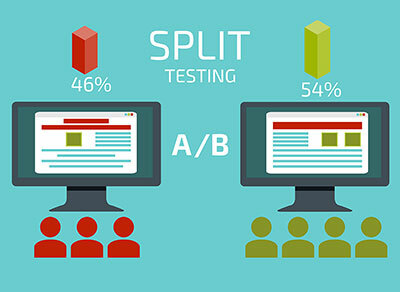 Whether it is split A/B testing or simply modifying the copywriting or call to action, the importance of testing never stops. If you are running a Pay Per Click (PPC) campaign, your landing page should constantly be tested and optimized to maximize your return on investment. Search engine optimization is the reason certain websites rank on the first page versus the tenth page. We are search engine optimization experts who get first page search engine results for our clients, guaranteed. If you are asking “why is SEO important”, then ask yourself when the last time you went to the second, third, fourth, etc. page on a search engine when you were searching for something. Whether it was a cooking recipe, a contractor, an item to purchase, etc., you know you clicked on a listing on the first page. The same principals apply to your businesses website. If your business is not listed on the first page for services you offer, potential customers are finding your competition instead of you. In case you do not understand what that means: Your competition is taking all of your potential business! Search engine optimization is a lot different than pay per click (PPC). With PPC, you can create a campaign, landing page and buy clicks to your website. Unless you want to spend a few hundred each month for your traffic that may or may not result in jobs, you need SEO. The big difference between SEO and PPC, aside from free versus paid, is that SEO takes time. There is no overnight switch that someone flicks. Google, Yahoo! and Bing all take time to find, read, index, and decide where to place you for different keyword searches. Typically, it takes 2-3 months on average to start seeing changes in your websites rankings. While “quick wins” are available, your websites overall rankings take time to improve. SEO is an increasingly important factor in growing your business. If your website is not being listed on the first page of searches, you are not getting as much website traffic as you could be. You need to keep in mind that the people who find your website are searching for services you offer. Because of this, you will get more leads every month. Those leads will result in money being physically handed to you. Do not you want more money? With better search engine rankings, you will receive more targeted visitors to your website. With a professional web design that is mobile-friendly and built for conversions, you will wonder why you did not focus on your website years ago. By having a professionally designed mobile-friendly website that is listed on the first page of search engines, you will be making a hefty profit. When the website is built for converting visitors into paying customers, you will be amazed at the results when the SEO kicks in. We guarantee first page search engine results all for one low monthly price. When the website is generating customers who pay you more than the low monthly cost, the website is paying for itself. That gives you options to reinvest into PPC or other marketing methods that will continue to create new customers and put money into your pocket. The end goal for all businesses is to make money, right? The only way to make money is to create new customers. The internet is not going anywhere, so why are you not taking advantage of it? Potential new customers are searching for services your business offers in your area — are they going to find you? Contact us today to start creating new customers!